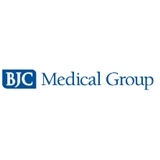 BJC - Medical Arts Clinic (Farmington) - Book Appointment Online! Was very pleased. Dr. was personable and efficient. My first appointment with Erin Parks. From first getting to her office until leaving was a very pleasant experience. From her receptionist, nurse & her I received a very warm atmosphere. Everyone was very professional. From the time Erin entered my exam room until the completion she showed compassion & listened to everything detail of my questions and concerns. She & her staff quickly scheduled the lab work & x-ray I needed. I was seen probably within 10 minutes of completion of all my forms. Would highly recommend her. Dr. Megan is great . She really listens to what you have to say. Her bedside manner is excellent. I am vey happy with the care she has given me. I have had 2 visits with her so far and I am hoping she will stay in the area for a long time since so many doctors are leaving the Farmington area. I came to this appointment with a list of concerns. She listened and discussed each one with me. She never has made me feel she is rushing with me to get to the next patient. She came up with a treatment plan and explained each part of it to me. Lauren Oberle was wonderful. This was my first appointment with her. She was thorough when learning about me as a new patient. It was not a rushed effort in any sort of way. She demonstrates experience and knowledge in women's health care. She answered all my questions, and took the time to listen to me. I'm thankful that I found her. Very friendly and professional staff! Went above and beyond. Explained medication and care plan. The doctor was very professional and thorough. She asked questions and really seems to want to help me with the issues my daughter is having. I would recommend her to anyone looking for a pediatrician. Doug and his staff are of the highest caliber! I am so happy I was referred to this office by a friend. I've been seeing Doug for a couple years now and he has helped restore some of my faith in the medical field. Never rushes a patient. Always endeavors to truly understand the situation. Doesn't fix everything with medicine and pills. He is absolutely fantastic!!! Dr. Amy Schomer was extremely sensitive in here approach to both our kids. Her knowledge and approach towards child healthcare both physically and intellectually is very well rounded.